Arlene R. Taylor is founder and president of Realizations Inc, a nonprofit corporation engaged in brain-function research and in providing related educational resources. This includes seminars and lectures by Taylor. Her goals are to help people and organizations enhance communication and overall success by understanding more about brain function, and to help individuals identify personal innate giftedness so they can manage their brain’s unique energy advantage effectively--by design--and thrive. Taylor was born in Canada on a wintry day in February when the Calgary temperature was 56 degrees below zero Fahrenheit. That may be one reason she now prefers the more temperate climate of Northern California. As a teenager she moved with her family from Alberta to upstate New York and later became a naturalized US citizen. Arlene began her professional career as a registered nurse. 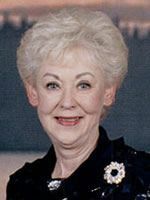 Years of working in acute hospitals, for City and County Public Health Departments, and as a school nurse in public and private schools K-12, provided her with a rich base from which to apply brain-function information practically in a variety of settings. Eventually she added a masters and two earned doctorates to her Bachelor of Science in Nursing. Music has been an important part of her life since as far back as she can remember. Her first conscious experience with mental rehearsal came early in life when her father challenged her to “Learn to practice the vibraharp in your mind, and then you can rehearse anytime, anywhere.” She continues to remain involved in music as her schedule permits. Emerging knowledge about music and the brain led her to create seminars on that topic. At one point in her life, Taylor became an instant step-mother for three little boys ages 3, 4, and 5. That experience further stimulated her interest in the brain, especially in relation to gender differences and individual uniqueness. Those parenting years prompted her to add additional seminars on brain function and gender differences to her repetoire. Her fascination with functions of the human brain continues unabated. An internationally known writer and speaker, Dr. Taylor incorporates brain-function information into her empowering presentations. The information she shares, when practically applied, can help people to be more successful—by design. Using metaphor and practical-application examples, she makes brain-function research come alive. Audiences around the world have found her to be an engaging and imaginative speaker. A member of the National Speakers Association, she is listed with the Professional Speakers Bureau International. Home base is the beautiful and world-famous Napa Valley.